Works as Psychotherapist / Art Therapist at First Psychology Centre, Edinburgh. David Pitt is an experienced psychotherapist / art therapist who works with individual adults, couples, children and families. David works with a wide range of issues and problems including depression/ low mood; bipolar disorders; stress; phobias; obsessive compulsive disorder (OCD); anxiety (generalised anxiety disorder, health anxiety, social anxiety); panic; trauma and post-traumatic stress disorder (PTSD); addiction and dependency (alcohol, drugs and substances); bereavement and grief; bullying; relationship issues; pain management / chronic pain; insomnia; gender / sexual identity issues; abuse in childhood / adulthood (sexual, emotional, domestic, physical); assertiveness, eating disorders and body image issues; Attention Deficit Disorder (ADD); Attention Deficit Hyperactivity Disorder (ADHD); autism, post-natal depression, life transitions and many more issues. He is particularly experienced in working with children, adults and families who are living with the impact of sexual abuse, trauma, bereavement and loss. He also has extensive experience working with young people and adults who have harmful sexual behaviours as well as over five years' experience working with people experiencing post-natal depression. In addition, David has significant training and consultancy experience as well as experience in facilitating group work. David uses a range of evidence-based therapies and techniques in his work with clients. He takes a flexible, collaborative and client-centred approach to therapy and believes in building a strong therapeutic relationship with each client. This underpins his approach regardless of the type of therapy being used. David will tailor his approach depending on each client's needs and preferences. He offers psychotherapy and in some cases, he may suggest art therapy which makes use of art materials to explore the difficulties being experienced. David has worked as a therapist in a range of settings including within services working with the following specific groups of people: young women experiencing post-natal depression; young men within HM Prison Service; young people and their families; young muslim men experiencing issues of identity and belonging; adults with a range of mental health issues - from psychosis to personality disorders; and within a children's secure setting. He has also been involved in a number of community arts interventions which have been funded by the National Lottery including murals, playground design and art competitions. He has organised and taught life drawing classes, children's art classes and has been asked to speak at public events regarding The Imagination and Arts practice. 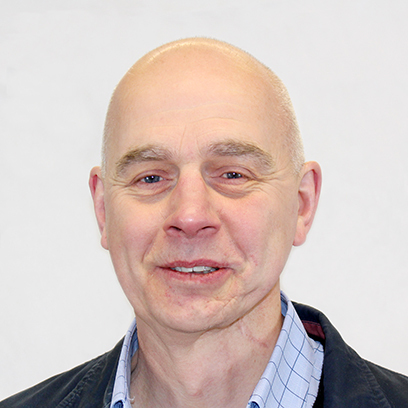 David has an MA in Art Psychotherapy from the University of Sheffield, Dyadic Art Psychotherapy (BAAT) Level 1-2, and Systemic and Family Therapy Foundation Level. He has undertaken additional training in Group-work Practice, Personality Disorders, and Adult Attachment Interview Training. David charges £60 a session for self-funding clients. He also works with clients referred via their employer / organisation – for further details, please visit First Psychology Assistance.